This beautiful set of 9 Sprays was especially developed to both enhance and support our developing diamond light body and the raising of our consciousness. It is not necessary to have done the Diamond Light Grid workshops in order to use and benefit from the products, however the grid + the sprays will work together to compound and build on the energetic effects. From left - right in the image, the set comprises : Rebirth (lilac), Golden Moments (gold), Core Essence Liberator (Aqua), Magical Magenta (magenta), Sacred Space (green), Rose Gold (rose gold/copper), Blue Flane (blue), Pink Diamond (pink), Ultimate Diamond (iridescent). 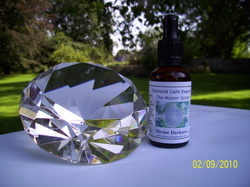 The sprays are a special combination of essential oils and vibrational essences in a diamond water/ethanol base, and activated within the diamond light grid. 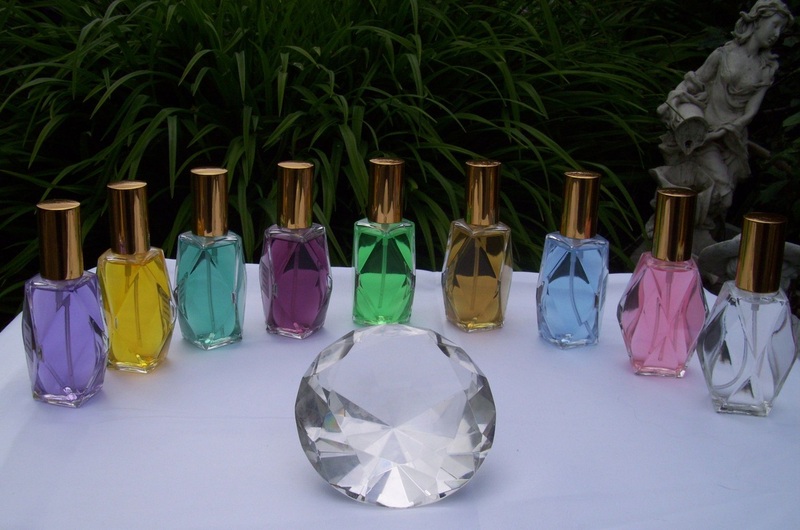 Each Spray also contains the White Fire Essence, Venus Essence and the energies of the Golden Healer crystal (Himalayan quartz diamond), which provide a powerful focus for the energy held within that particular spray and amplifies it. To use the sprays : simply spray in and around your aura as well as your personal space (ie use as a room spray) to bring in the desired vibration. Spend a few moments breathing in the energy that you have chosen and feel your body and being align with it. Download the brochure with detail on the sprays below. Select your desired spray from the relevant shipping region below.